We manufacture supreme quality Edge Boards to our clients. 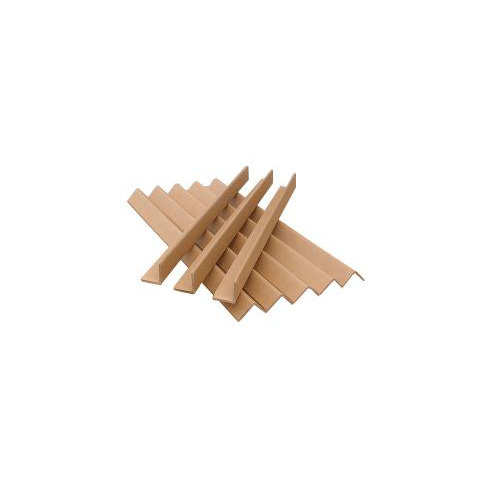 These Edge Boards can be used for both manual and machine packaging. They provide the requisite load bearing capacity to the packages during stacking. Apart from this, they also offer protection to the packed products from adverse handling during storage and transit. Fabricated using quality raw material these are high on parameters such as strength and durability. The Edge Boards can be customized as per the demands of our clients and are available at competitive prices. Our commitment to all round excellence in our business activities, we have made a strong presence in domestic arena. Technology and quality being our forte, we endeavor to offer quality products to suit the specific requirements of our clients. To ensure world-class quality standards in our entire range, these are fabricated in our state-of-the-art manufacturing facility, which is equipped with sophisticated machines. Our range finds applications in danglers, stationary products, window display and gifts such as lamps, coasters, boxes. Our high quality standards, commitment, sound infrastructure & timely delivery of consignments, we have won the trust and respect of our esteemed clients.